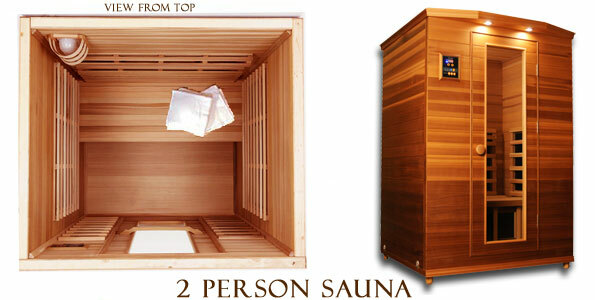 Click the button below to add the Clearlight Premier IS-2 Cedar Infrared Sauna - 2 Person to your wish list. Your sauna includes windows for light and ventilation, recessed halogen accent lights for mood and reading, digital keypad both inside and outside your sauna that controls temperature,time and lights and a high quality AM/FM CD stereo with two-way speakers built in. We also surround you with infrared. The IS-2 has two heaters on the front wall, a large heater across the entire back wall, two side wall heaters and a heater underneath the bench. Your IS-2 has a total of 3,440 sq. in. of True Wave II™ heaters. 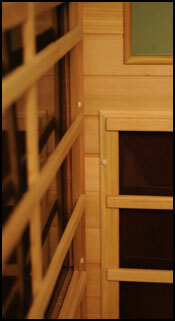 The large size of each heater allows for a lower surface temperature than other infrared sauna heater technology. 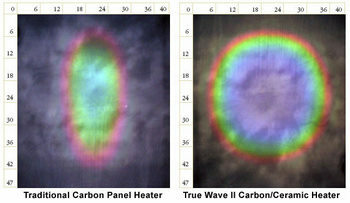 This means better performance well within the optimal wave range of 7 to 14 microns with a good portion of wavelengths at 9.4--which is the frequency at which the human body absorbs infrared heat. Heater Surface Area: 3,440 sq. in. Bench 47 x 22 in.